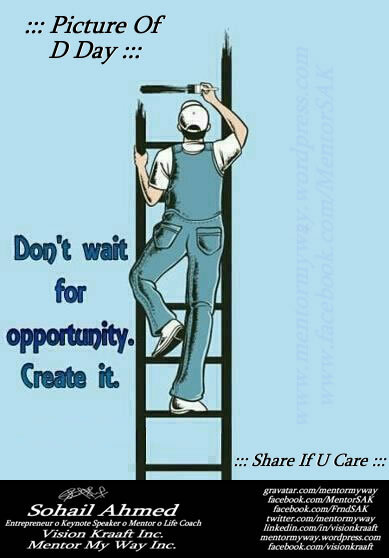 ::: Don’t Wait – CREATE ::: – Mentor My Way Inc.
Thanx Alot for Reblogging MMW Post and your Appreciating words, these comments compel me to deliver more quality work so that people from across the Globe can be benefited from the same. The Blog You Love n Like has a Viewership in 117 + COUNTRIES and 6 Continents Since its Inception in July 2012. “Mentor My Way” Blog has a Viewership in 117 + Countries.